for best results with our site search, just type the number of the lct your looking for. nail search form nail is a searchable database that contains information about a wide variety of nara's holdings across the country. you can use nail to search descriptions for key words or topics, and then to retrieve digital copies of selected textual documents, photographs, maps, and sound recordings. national personnel records center this site is provided for those seeking information regarding military personnel, health and medical records stored at nprc (mpr). it includes complete instructions for preparing and submitting requests. u.s. navy memorial foundation home page the navy log records naval service information of present and former members of america's sea services, living or deceased, in whose names contributions have been made for the continuation of the mission of the u.s. navy memorial foundation. anyone who has served in the u.s. navy or with the navy's sister sea services - marine corps, coast guard, their reserve components, or merchant marine - is eligible for inclusion in the log. displaying name, branch of service, rate or rank, dates of service, date and place of birth, duty stations and awards, a photograph provided by the sponsor, along with when and where the picture was taken. lst 1122 shipmate locator the lst 1122 home page is proud to make available a new "shipmate locator" for anyone attempting to locate or obtain information about a navy veteran. please view the log. you may be able to help someone out! sailors lost and found main data base any navy or marine corps vets looking for someone you served with, this is also a good site for finding information on a family member. vets.com help for veterans, military, families, friends this is a great web site with hundreds of links for veterans of all wars and all service branches. lots of information to be found on this page. welcome to the u.s. naval institute! for the advancement of professional, literary ,and scientific knowledge in the maritime services, and the advancement of knowledge of sea power. 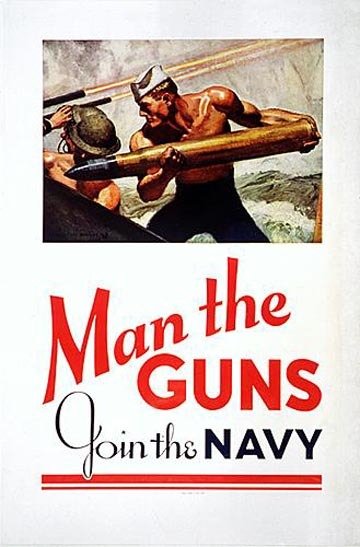 hyperwar: us navy ships, 1940-1945the aim of thia page is to eventually have a separate page for each ship, which includes the specifications, history, and one or more photographs. navsource photo archives: this sit has the best collection of lct photos. the wwii lct web site and the web master of the navsource lct photo page have agreed to share our photos and information, which will help in the effort to preserve the history of the lct. please take the time to pay this site a visit. u.s. navy history mission: to enhance the navy's effectiveness by preserving, analyzing and interpreting its hard-earned experience and history for the navy and the american people. submarine world network by ron martini as ron says this is the world's largest submarine directory listing 1000+ links to submarines of all nations and all periods of history. a major communication network for ussvi and subvets of wwii. dedicated to all who served on landing craft infantry (lci) in wwii. the uss lci national association helps locate old shipmates, preserve the history of landing craft and collects lci-related stories and photos. ussvi-united states submarine veterans inc creed of ussvi: " to perpetuate the memory of our shipmates who gave their lives in the pursuit of their duties while serving their country. that their dedication, deeds and supreme sacrifice be a constant source of motivation toward greater accomplishments. pledge loyalty and patriotism to the united states government."